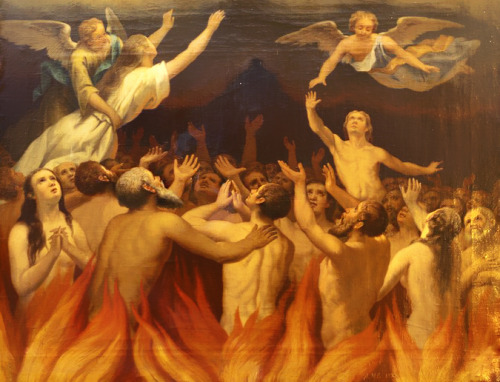 The Catholic Church dedicates the entire month of November to the Holy Souls in Purgatory. 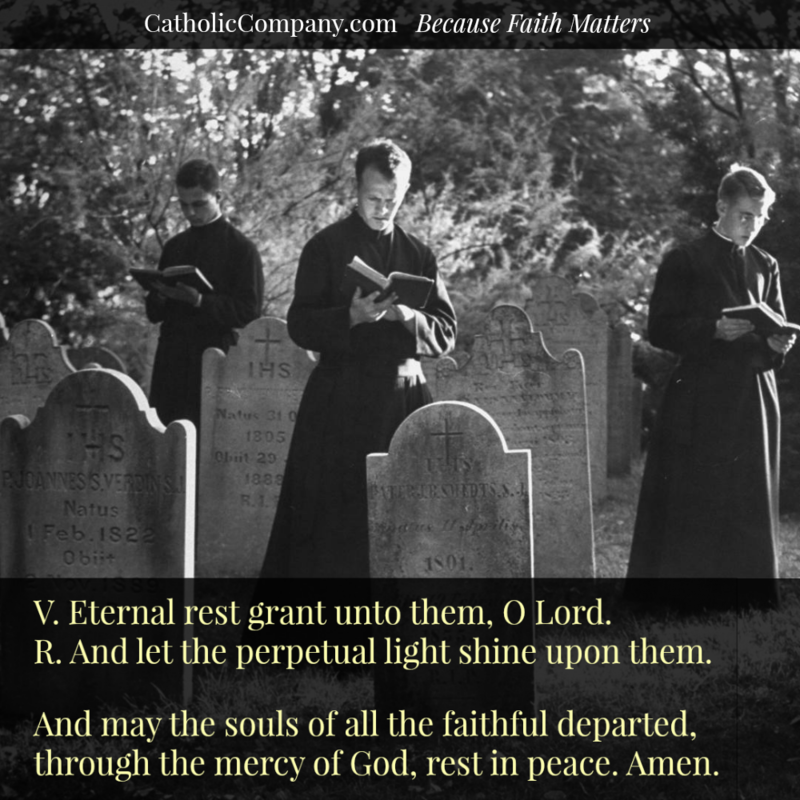 During this entire month we pray for the souls of the faithful departed, especially those whom we have known and loved. November 2nd is All Souls Day, also known as the Day of the Dead. The souls in purgatory died in the mercy of God, this is why they are called holy; however, because they still had attachment to sin at the time of their death, they must undergo a spiritual purification of their souls before they are able to fully love God with their whole heart, mind, and soul for all eternity. The holy souls are "saved souls" - they will enjoy the reward of heaven - but during their lives they were not the perfect souls that Christ commanded them to be (Mat. 5:48), and for which he provided every grace and means for them to become (2 Pet. 1:3). We are meant to die after living as saints. Those who die in the love God but fall short of holiness due to habitual sinful clingings must be pure before being admitted to the beatific vision, that is, the vision of God that the saints in heaven enjoy for all eternity. For more information, read What Do Catholics Really Believe About Purgatory? Those in purgatory cannot pray for themselves, this is why they are also called "poor" souls. They can no longer merit anything for themselves (their opportunity for increasing in merit was during their earthly lives) and they must rely entirely on others to pray and make sacrifices on their behalf. As they are nevertheless part of the Communion of Saints, they depend upon us to help ease their suffering and quickly advance them through their purification so that they can join the saints in heaven. Prayers for the faithful departed pleases God, who makes use of our prayers to help purify these souls that He loves. It is an act of charity that we can give for those we have known and loved, for our ancestors who gave us life, for those who were our benefactors, for those whose memory is lost, and for those who have no one else to pray for them. 1. Pray the Novena to the Holy Souls. 2. Offer up your Holy Communions for the souls in purgatory. 3. Have Masses said for your departed loved ones, especially on the anniversary of his or her death. 4. Pray The Way Of The Cross for Souls in Purgatory. 5. Pray the special Holy Souls Rosary. 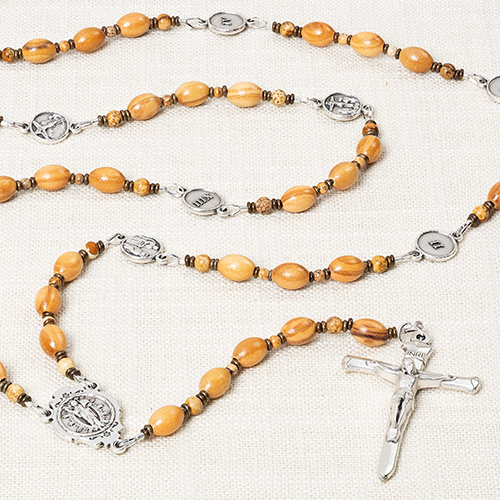 After the Holy Sacrifice of the Mass, the Holy Rosary is the most powerful prayer. 6. Obtain indulgences: Indulgences reduce or cancel the temporal punishment that we incur through sin. * There are many ways to obtain indulgences through pious actions, and we can apply their merits to the dead. 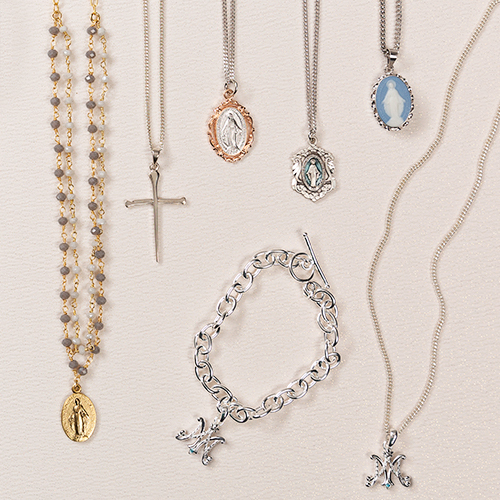 You can find a partial list of indulgences here. 7. Give alms: The giving of material assistance to the poor has always been considered a penance that can be offered for the Holy Souls. "For almsgiving saves from de ath and purges away every sin" (Tobit 12:9). 8. Pray the Divine Mercy Chaplet for the intention of the Holy Souls. 9. Prayer of St. Gertrude for the Holy Souls: this prayer is attributed to St. Gertrude the Great and was the prayer by which she obtained the release of many souls from purgatory. 10. Sprinkle holy water on the ground: St. John Macias, a great friend of those in purgatory, would often sprinkle holy water on the ground for the spiritual benefit of the suffering souls. "Eternal rest grant unto them, O Lord. And let the perpetual light shine upon them. And may the souls of all the faithful departed, through the mercy of God, rest in peace. Amen." 12. 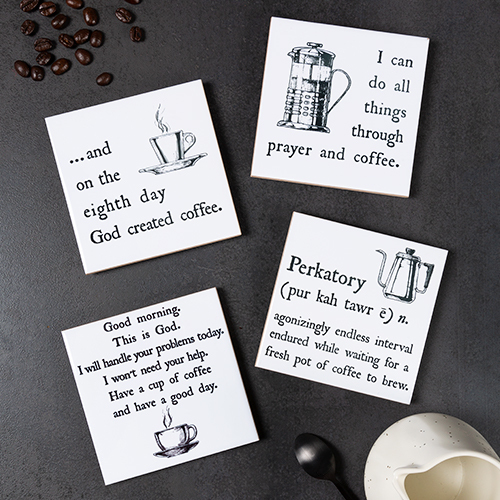 Practice the tradition of praying the Eternal Rest prayer (above) before and after your meals as an easy way to remember to pray for the holy souls every day. 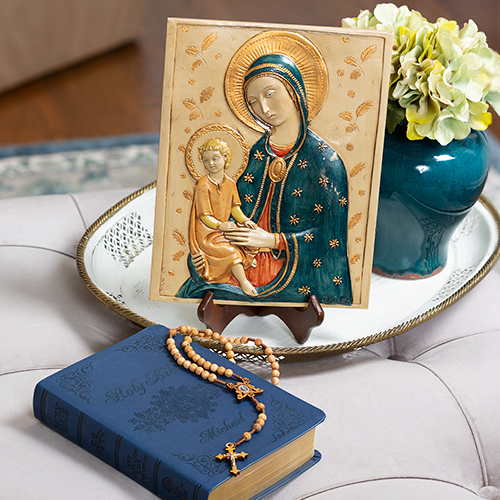 You can also pray the prayer between the decades of your daily rosary. 13. Visit a cemetery: Pray over the graves of your departed loved ones, or visit a random graveyard and pray for those who may have no one to pray for them. Simply doing this gains a partial indulgence for those in purgatory. * While you're there, sprinkle holy water on the graves. If you make this visit during the first eight days of the month dedicated to the Holy Souls (November 1-8) you can gain a plenary indulgence applicable to the souls in purgatory. 14. Eucharistic Adoration: visit the Blessed Sacrament to make acts of reparation to the Sacred Heart of Jesus on behalf of those in purgatory. 15. Sacrifices: practice small acts of self-denial throughout your day and offer these penances up for the poor souls. 16. Pray the Office of the Dead. You can find this in your volume of the Liturgy of the Hours or online here. 17. 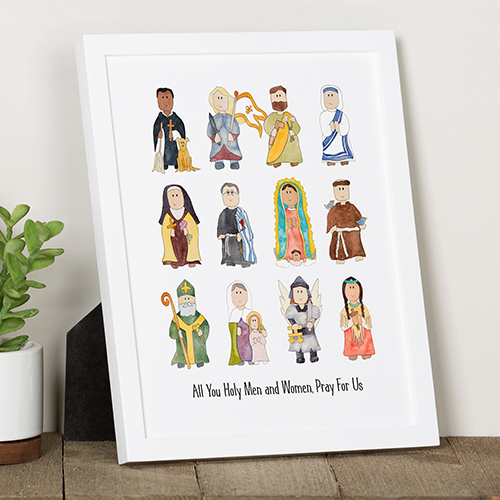 Ask for the intercession of saints who were known to be great friends of the Holy Souls during their lifetime to join you in prayer for the faithful departed: St. Nicholas of Tolentino, St. Gertrude the Great, St. Catherine of Genoa, St. Padre Pio, St. Philip Neri, St. John Macías, St. Faustina Kowalska, St. Joseph, Our Lady, and others. 18. Special prayers: Throughout your day, offer up short and spontaneous prayers (ejaculatory prayers) for the holy souls. 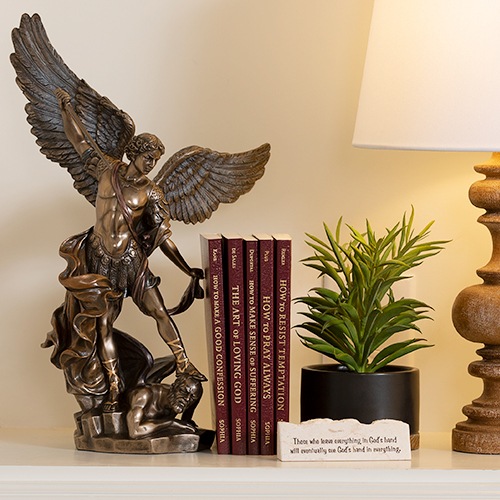 Consider buying purgatory books with more prayers and special devotions for the Holy Souls. 19. Repent of your offenses against God and go to confession: Confessing your own sins makes your prayers for souls of others more effective. 20. Spread devotion to the Holy Souls: Make others aware of the great need these suffering souls have for our prayers. What else would you add to this list? Leave your ideas in the comments below! 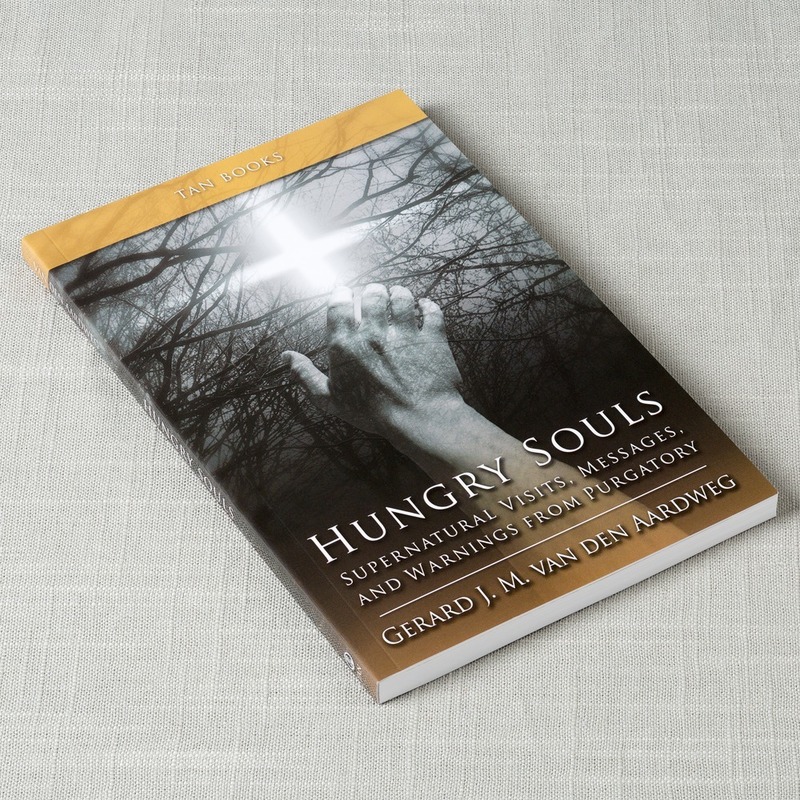 For more background on what is being experienced by the souls in purgatory, you will find these accounts interesting: Amazing Stories from Purgatory and the Afterlife and the true stories of Holy Souls coming back and requesting prayers from the living as detailed in the must-read Catholic book Hungry Souls. 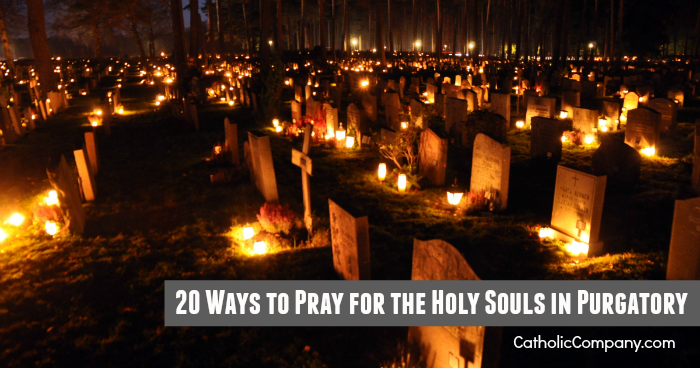 As you pray for the Holy Souls, don't forget to ask them to pray for you in return once they enter heaven. They will be happy to do so, as they will be most grateful for your prayers and sacrifices on their behalf. This is the beauty of the Communion of Saints! Death does not separate those bonded to one another in Christ! 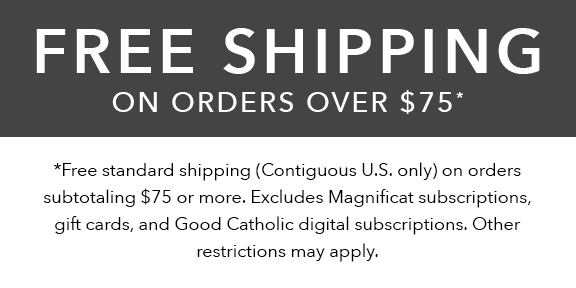 *To find more information on indulgences (partial and plenary) and the conditions that must be met to obtain them, click here. One must be baptized and in the state of grace, be free from an attachment to sin, go to confession within 20 days, receive Holy Communion on the day you perform the indulgenced act, and offer prayers for the intentions of the Holy Father (such as an Our Father and Hail Mary). This article has been updated and was originally published in October 2014. © The Catholic Company. All rights reserved. It's important to have masses said for the Holy Souls in Purgatory as well as reciting the St. Gertrude prayer or St.Gertrude rosary Reciting the Divine Mercy at 3:00 am and when visiting a loved one in a cemetery, sprinkle Holy Water on their grave for peace, light and refreshment. When passing a Catholic Church say the Eternal Rest prayer. The more masses for the Holy Souls said will elevate that soul closer to Heaven. I am so very grateful that I was born a Catholic. I am jealous of the converts to the faith, who diligently sought the Lord and found the one true Church founded by Jesus Christ Himself, as they wanted this so much, they came all the way home. I have learned so much from them. And now I am learning from Catholics how to not only love my "gift from God" (my Catholic Faith), but to nourish it, feed it (by reading articles such as this) and it (my faith) will grow. I feel I am in a family... God's own family and I am so richly blessed. I will ALWAYS pray for the poor souls in purgatory as they are holy men and women being refined. I pray for them because I know one day I, too, will need their prayers, when they are finally home in Heaven. "Thank you God for all these wonderful brothers & sisters who worship You, defend the Faith, and in charity help to lead others to you, through your Son Jesus. Amen"
Thanks also to Jay for the referral to the mobile app, but I didn't find it by that name (android, Google Play). The name Jay gave brought up installers and other things, so I typed in "purgatory," and got the app he was referring to, as well as some others. I would like to pray them all daily, but even praying one way a day is a good thing. 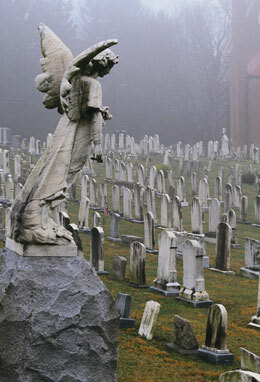 To close: I always had an affinity for graveyards, but hadn't been taught about Purgatory because my parents and others believe that everyone goes to heaven except people who do great evil. They even think non-Christians go straight to heaven simply because they didn't know Christ. That's nonsense, but it's the heresy of the age. I was a follower of that heresy until God opened my eyes dramatically. He prepared me slowly over decades - looking back I can see the instances that I responded to His grace. Near the time of my conversion, I happened to catch an interview with an author on an EWTN program -- how that happened was a fluke. It might have been Susan Tassone. I just remember that she was from Chicago, and told the story of how she came to realize that her mission was to pray for the Holy Souls. Her story is similar to mine - I found myself saying, "Me too," over and over. So then I realized it was my prayer mission, too. About 6 months after that, I'd been praying for the dead, but then God opened my eyes to understand that the Catholic Faith is the true Faith, and I needed to go to Confession. I had been baptized Catholic and made First Communion and Confirmation, but then I stopped visiting the Sacraments. 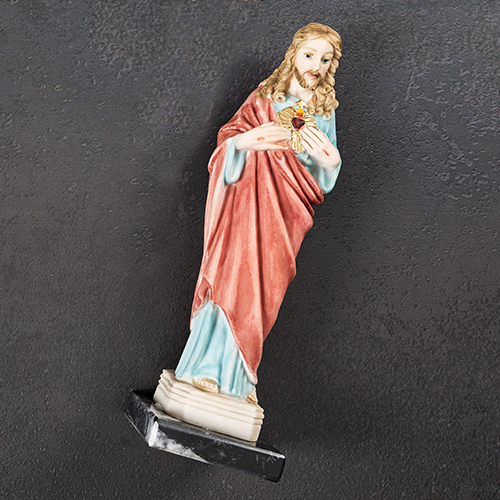 The day I returned to Confession, I received news that my brother was diagnosed with cancer. He died 4 months later. I thank God in His goodness and mercy that He prepared me to be in a state of grace so that I could pray for my brother's soul and make sure he received a Funeral Mass (nobody in the family thought it was necessary, but I insisted). Just by paying money to say holy mass for the soul is not appealing. 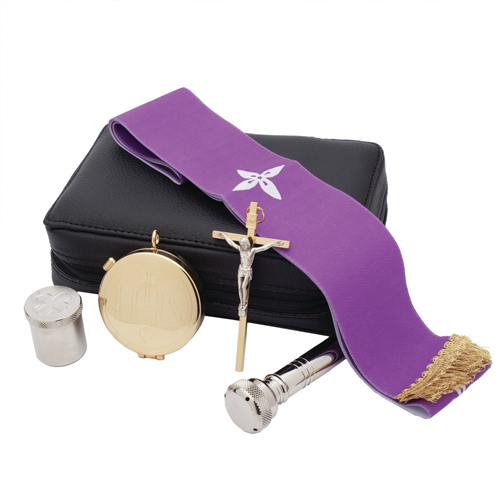 Very often pay money for Mass, the concerned person may not even attend Mass. Moreover the priest reads the name and asking us to pray . How far this is right.pl enlighten. Tks. God Bless. Hello S Vincent Paul - The practice of offering a small stipend to have a mass said for a specific intention has several reasons, including the following - Firstly, offering a small stipend is a beautiful way to offer your whole self for a prayer intention. You may give time, and put your heart into the prayer, but putting your whole self, including something concrete and practical like money, is a small sacrifice we can offer, to show the seriousness of our prayer. It's also a way to say a small "thank you" to the priest for doing you a service by saying the mass for your particular intention. There are other reasons too, but hopefully this gives some clarification. I totally agree with Mike Moreau. And yes, Catalina's testimony is truly exciting. To Jay- thanks for all those links and the app - wow! Really, thanks! The other thing is- did you know the Souls that you pray for KNOW that you're praying for them? And they in turn pray for you- and their prayers are heard. If you believe in Purgatory or not - just imagine you went there when you died and all you need was for someone to pray for you so you could get to heaven and no one prayed. Should we as Christians not pray and believe in Jesus and hope our prayers do some good to souls that need it. Purgatory is real! My late mom visited me when she there and was always asking for prayers, I didn't understand. My family regularly booked mass for her. She appeared to me for the last time to say that she is free and I saw her going up to heaven in sparkling white gown with so many others. Since then she does not come to me again. I pray nightly for all the deceased relatives that I k ow the names of, for all family friends by name and “ for all my ancestors who have died before me & especially those who suffered or died because of their faith or ethnicity.” I recently discovered that on my maternal side I had female Jewish ancestors, both Shephardic & Ashkenazi. I do not know if they were converts (willing or coerced) but I owe them prayers as much as any of my Christian forebears. VERY well said, Mike Moreau! I was recently at a wake for someone I had never met - the sister of a friend. I walked in, introduced myself to her grieving husband, then turned to say a prayer before the urn containing her remains. I unexpectedly saw in my spirit this woman I had never met, in agony among flames. It was impressed on me that she was not in hell, but was being purified in the flames of purgatory. I felt shaken and said a prayer for her. Right after that, the priest in the room began to lead the assembled friends and family through a litany imploring God's mercy on the departed person. With each invocation and "amen", I saw her agony lessen. I understood that the prayers of the Church and those of the faithful have a definite effect on the suffering of souls in purgatory. For years, I have given all my indulgences from any prayer, pilgrimage etc to the holy souls. I know they will pray for me when they get to heaven. This is an important article. We all need to be reminded of the need to pray for the dead. They in turn will pray for us. I totally believe what Mike Moreau said about the Catholic Church being the true church. Jesus said to build His church, NOT churches! And I agree, Merit Amadi better hope there’s a Purgatory. I know Catholics that refuse to believe in Purgatory, but it’s God’s final chance for your redemption. It’s a place to be cleansed. No one gets into Heaven that is unclean. He wants all of us in Heaven with Him, even the sinners. That’s how much he loves us! I will never ever doubt my belief, I am a catholic and I will continue praying for poor souls in purgatory. I do firmly believe in purgatory and that after spiritually purified, the souls in purgatory will enter the heavenly bliss. Yes, there is eternal life after death. Whoever said that the dead know nothing. The dead who believed in the Lord, will live with him forever. There is a purgatory. One should always pray for the dead. Amen. When I was about 13 years old I would pray the Rosary before I went to sleep for the Holy Soul's. I remember one night during my rosary I fell asleep on my top bunk bed. 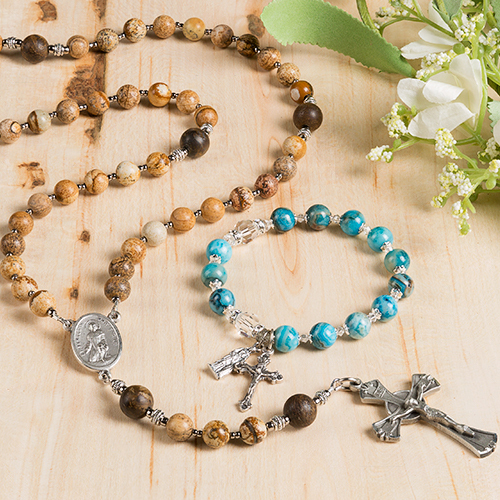 I was awoken several times during the night by a beautiful bright and peaceful angel prompting me to finish the Rosary. Rosary beds still in my hands and so tired every time I would wake to the Angels prompts I instantly understood that I should try to finish the Rosary. Every time I would turn my head to try to get a better look, the Angel would pull back or disappear sort of speak and also make me somehow understand it was not about her, it was about the Holy Soul's. Now whenever if ever I question my faith I will always remember this experience. Pray for our friend's "the Holy Soul's" God bless! I would've love to pray all these but i simply can't do it. 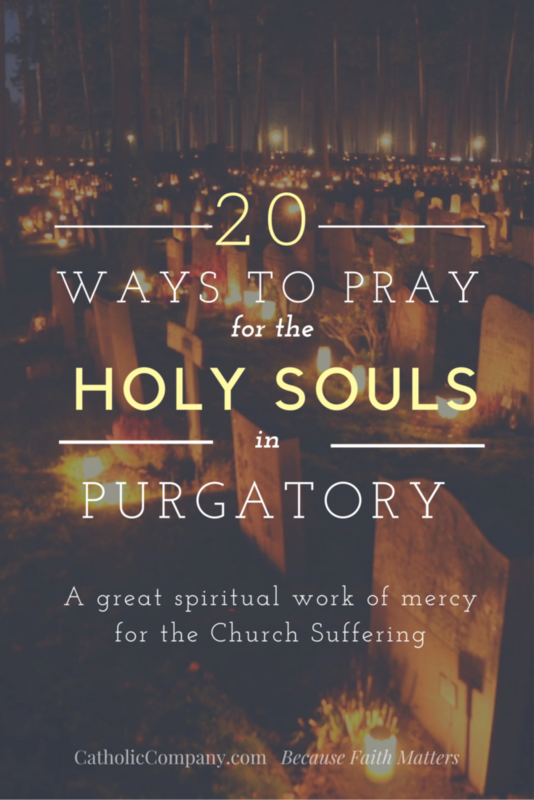 Please help pray at least one of these prayers everyday for the Souls in Purgatory. 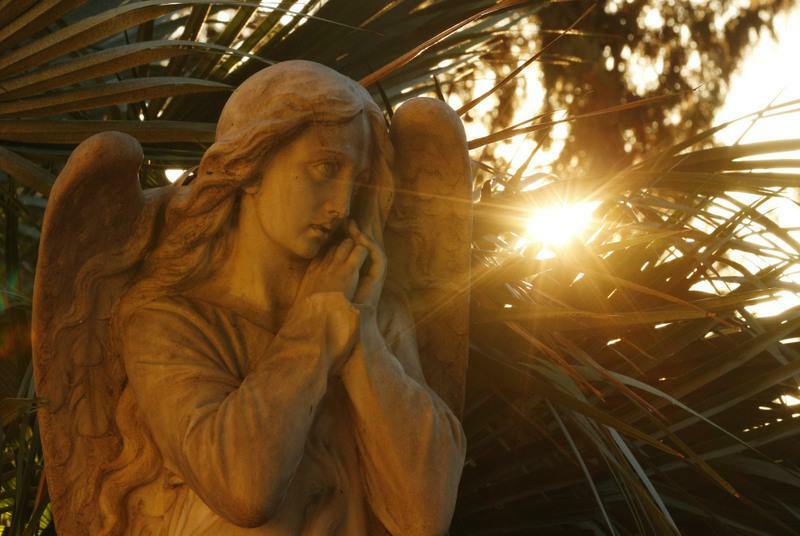 May our guardian angels and all our holy intercessors pray for us. Also please remember to pray the Seven Sorrows of Mary and offer it for the souls in purgatory. You can also pray the prayers to the 3 Archangels Micheal, Gabriel and Rafael at the end of these devotional prayers. May God bless us with all graces necessary for our salvation. I ways feel such a sense of peace and contentment. Denying the truth does not stop it from being the truth! Whether you believe it or not purgatory is real!!! It's both the manifestation of God's infinite mercy and justice. For those who do not believe, I pray that you might receive the grace of Divine Wisdom to accept God's truth even when it "contradicts" all you have ever been thought. Thank you for this information! Praying for souls in purgatory (which I believe most people end up) is one of the most beautiful, selfless acts we can do. I started thinking about it after my grandfather passed away. I had a very disturbing dream of him being sad. I also lost a cousin that died tragically and he wasn't religious either, so naturally I wondered where he was. I don't think it's my place to judge where they are, but I pray for them and other people just in case. I offer many Rosaries for the poor souls in Purgatory and pray for them daily. If we pray for the Souls in Purgatory, they will in turn pray for us. Silly imaginations? I pray for you! Remember one thing is for certain, there is only one church created by Jesus Christ and it is the Roman Catholic Church! That is singular as in Church, not Churches. Every Church after the Catholic Church is man made! It’s that simple. Did Jesus not say, “upon this rock (Peter) I build my Church “?? The Holy Mass of the Catholic Church is so Holy and inspiring that it is truly incredible! May I suggest to anyone (even Catholics) to read Catalina’s testimony on the Holy Mass. It will wake you up and move you in a way that is truly a gift from God!